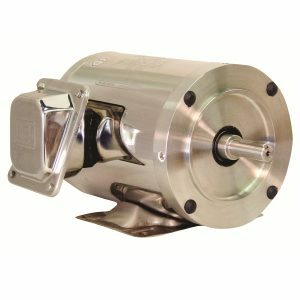 If you are in need of electric motors to keep your grinder pumps, gearboxes, mixers and other process equipment running smoothly, look no further than Arroyo Process Equipment. We have been an industry leader for five decades because of our unparalleled services and customer support as well as the high-quality products that we offer from the industry’s best manufacturers. Your operation facility needs heavy duty pumps that are able to withstand the constant, 24/7 workload that many fluid processing applications require. Our lines of heavy duty pumps, positive displacement pumps and centrifugal pumps include grinder pumps, submersible pumps, dewatering pumps, high-pressure piston pumps, and mag driven pumps from top industry brands such as Warren Rupp, Pulsafeeder, Viking Pump, Toyo Pumps, and many others. If you need assistance selecting the best motors, heavy duty pumps or specialty equipment for your chemical, petroleum, food processing, asphalt or other industrial application’s needs, call on our engineers at all three Arroyo Process Equipment Florida locations. Along with parts assistance, our team of chemical and mechanical engineers can create customized pump package systems designed to your facility’s exact specifications. These easy-to-install systems can include valves, couplings, mixers, grinder pumps, motors, and more, and we can skid-mount package systems for safe transportation to your location. Contact a knowledgeable Arroyo Process Equipment specialist to request a quote on electric motors or any of our other fluid handling equipment for your projects in Florida, Georgia, Jamaica, Puerto Rico, Trinidad and throughout the Caribbean.